In: DIY and Save! | Money Money Money! 1. 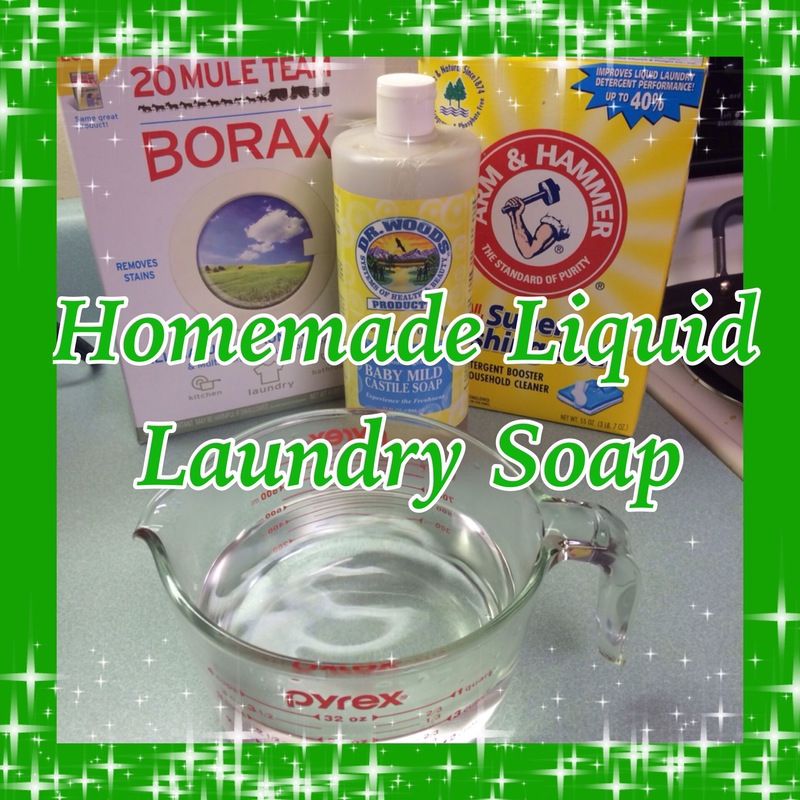 Gather your ingredients; water, liquid castile soap, borax, and super washing soda. 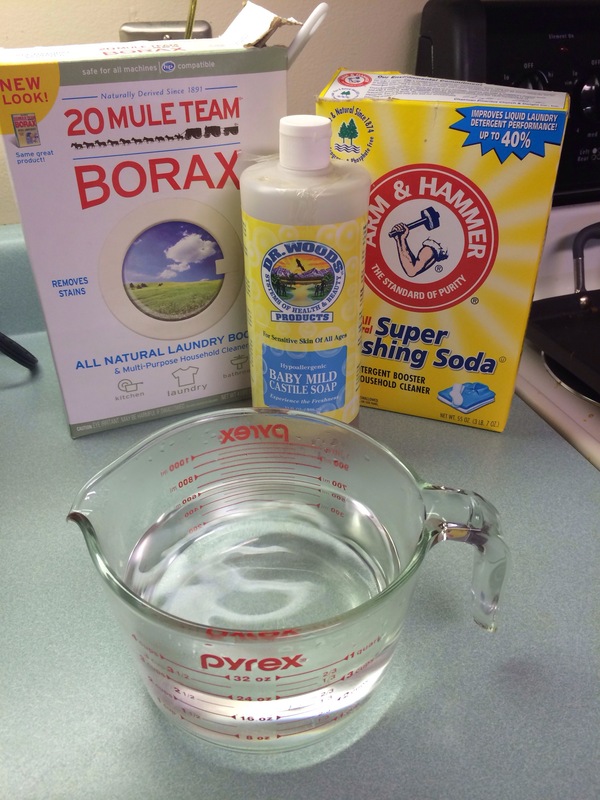 Borax and super washing soda can be purchased at places like Walmart, Target, Giant Eagle, etc. (usually near the “regular” laundry soap). The liquid castile soap that I use is the Dr. Woods brand which I purchase at http://www.iherb.com. 2. Heat the water for a 1-2 minutes in the microwave so the granular ingredients will melt when added. Add the liquid castile soap, borax, and super washing soad and stir. You will see some soap bubbles or suds form on top. 3. 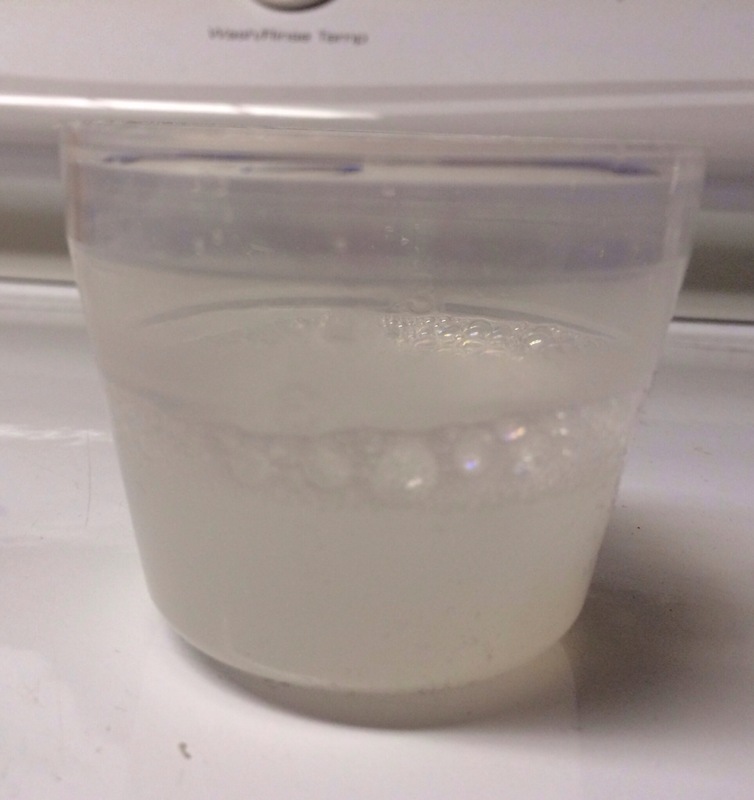 Pour the concentrated soap into a container (we re-used an old liquid laundry soap container). 4. Fill the container with cold water, place lid back on, and shake (gently) to mix. 5. When ready to use for your clothes, shake well and measure out about 1/3-1/2 of a cup (this one if from the old liquid laundry soap container) and pour in your washer. Gather your ingredients: water, liquid castile soap, borax, and super washing soda. Heat the water for a 1-2 minutes in the microwave so the granular ingredients will melt when added. Add the other ingredients and stir. You will see some soap bubbles or suds form on top. 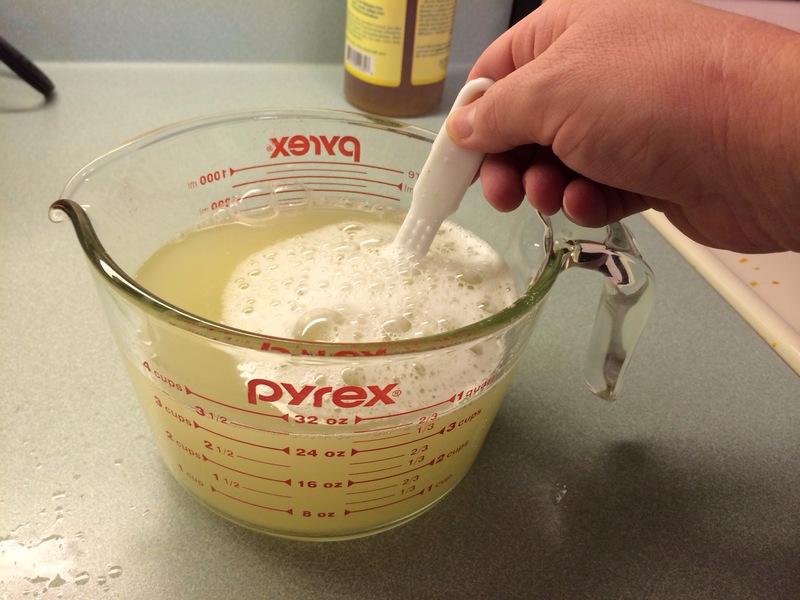 Pour the concentrated soap into a container. 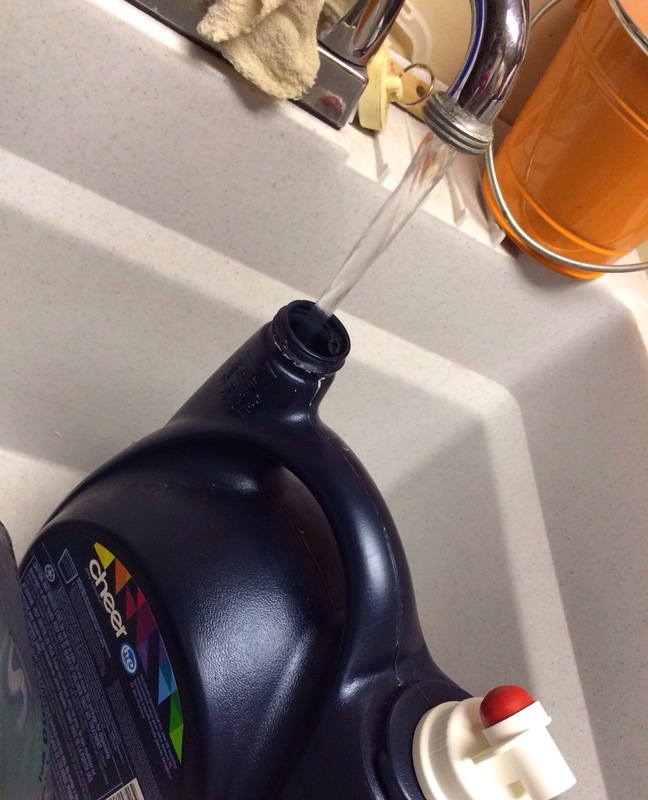 Fill the container with cold water, place lid back on, and shake (gently) to mix. When ready to use for your laundry, shake well and measure out about 1/3-1/2 of a cup and pour in your washer. P.S. 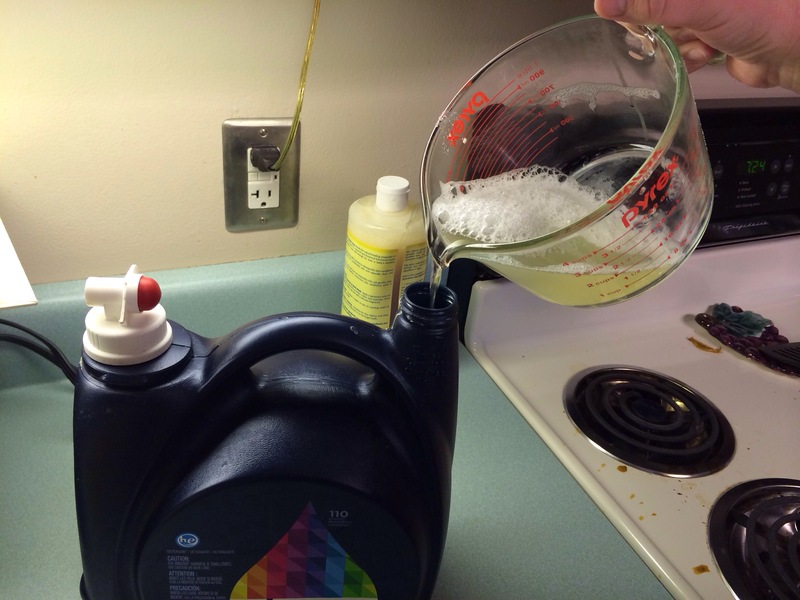 We use straight white distilled vinegar to replace fabric softener. Sight Words – Work Hard for the Money! Opal on Let’s get started!! Nicole on Let’s get started! !